'Terminator' will be rebooted in 2015. 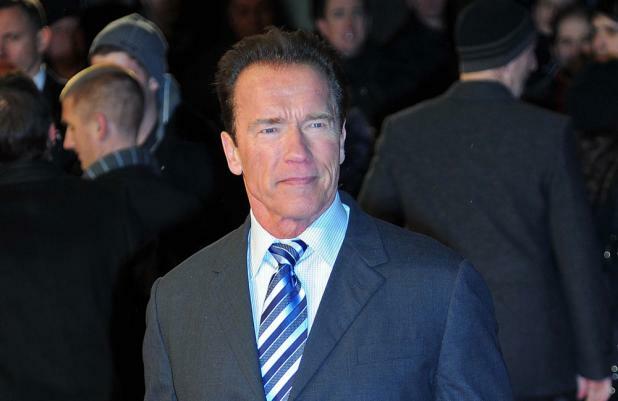 Film studios Paramount, Skydance Productions and Annapurna Pictures have confirmed they will launch a new trilogy based on the classic sci-fi action films starring Arnold Schwarzenegger, with the first film - titled 'Terminator' - set for release on June 26, 2015. Described as a "stand-alone trilogy", it's not known if the new films will be a remake of the original 1984 film directed by James Cameron or a partial follow-up to the earlier films. Schwarzenegger confirmed earlier this year he would be returning for the new film series, claiming he will begin filming in January. He said: "I'm very happy that the studios want me to be in 'Terminator 5' and to star as the Terminator, which we start shooting in January. I feel very proud of that. I feel very happy and I'm looking forward to [it]." The new movies will be produced by brother-and-sister duo Megan Ellison, whose credits include 'Zero Dark Thirty', and David Ellison, who is known for producing big budget blockbusters including 'Star Trek Into Darkness' and 'World War Z'. The success of 'Terminator' spawned two sequels starring Schwarzenegger - the critically acclaimed 'Terminator 2: Judgement Day' in 1991 and 2003's 'Terminator 3: Rise of the Machines', which was less well received. Filmmaker McG attempted to reboot the franchise without the Austrian actor in 2009 with the Christian Bale-starring 'Terminator Salvation', but the film was critically panned and failed to succeed at the box office. With the addition of 'Terminator', 2015 is shaping up to be a massive summer for film as Disney and Marvel will release 'The Avengers 2' and Disney will also release the eagerly awaited 'Star Wars Episode VII'. More time-travel hi-jinks as the Resistance battles Skynet and timelines collide all over the shop. Solidly workmanlike action sequences meet bewilderingly confusing writing and the characters are soon as lost as the audience, in what feels more like a parody of the franchise than the dawn of a new era.